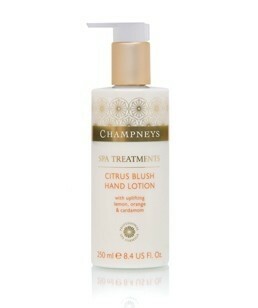 This lovely, easily absorbed hand lotion from leaves hands feeling soft and moisturised. 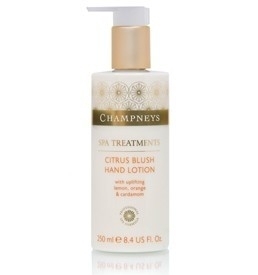 This nourishing, zesty moisture lotion is heaven for hands, with its mix of skin conditioning ingredients including shea butter, sweet almond oil and Vitamin E to osften your skin and energising orange peel oil, lemon oil and cardamom to lift your spirits. 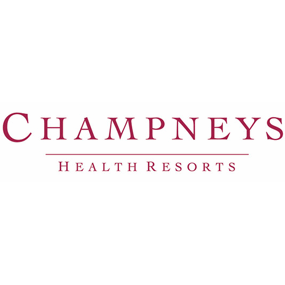 Therapists at Champneys recommend keeping a bottle in the kitchen and bathroom to use after our Citrus Blush Hand Wash. Massage into your hands, paying extra attention to your nails and cuticles. Aqua (Water), C12-15 alkyl benzoate, Glycerin, Butyrospermum parkii (shea) butter, Glyceryl stearate SE, Cetearyl alcohol, Cetearyl glucoside, Dimethicone, Benzyl alcohol, Prunus amygdalus dulcis (sweet almond) oil, Glyceryl stearate, PEG-100 stearate, Phenoxyethanol, Methylparaben, Sodium PCA, Parfum (Fragrance), Limonene, Tocopheryl acetate, Carbomer, Xanthan gum, Citrus medica limonum (lemon) peel oil, Propylene glycol, Disodium EDTA, Alcohol denat., Benzotriazolyl dodecyl p-cresol, Sodium hydroxide, Citral, Linalool, Eugenol, Coumarin, Alcohol, Tris (tetramethylhydroxypiperidinol) citrate, Citrus nobilis (mandarin orange) peel oil, Elettaria cardamomum seed oil, Denatonium benzoate, Citric acid, CI 19140 (Yellow 5), CI 15985 (Yellow 6). I was less taken by this than I was with the matching hand wash though the scent is the same slightly odd citrus/sweetness. The lotion is too light for my taste and I wasn't impressed with the result but it is a reasonable price. Easy to use pump, clean fresh scent and leaves hands soft and smooth. Really good especially when your hands are dry.